Over the past couple months, I've really been trying to focus on two social media channels: Pinterest and Instagram to grow my blog. Twitter, to me, is a bit of a mystery. I don't really like it, to be honest, so I don't really spend a lot of time trying to make that successful. As for Facebook, well, I've been trying to stay off of that as much as possible until the election is over. Maybe after that I'll care again, but I really feel like it's tough to get noticed on Facebook. I think the reasons why Instagram and Pinterest appeal to me personally is that both of those outlets are incredibly visually driven. They are both (obviously) heavily based on photography, something that I have been super passionate about since I can remember. I spoke about how my parents were always carrying a camera with them in my blogging photography tips post, which I think influenced me pretty heavily growing up. Even when I just had a small point and shoot camera with terrible zoom, I loved walking around taking pictures and doing little shoots. Instagram is something I've always naturally gravitated toward. 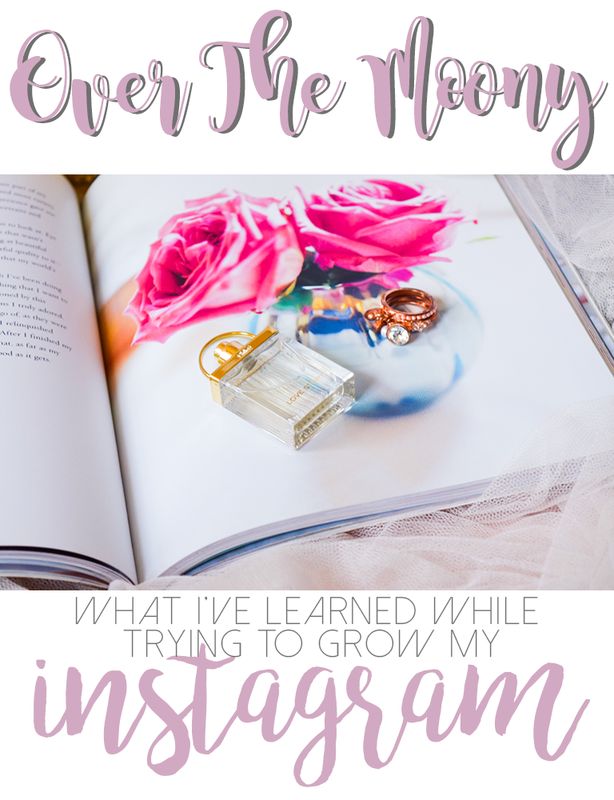 While most of my Pinterest knowledge is coming from Paula @ Thirteen Thoughts, Instagram seems to be a little illusive for a lot of people. Now, I'm not going to claim to be an Instagram expert in any way. I am not. I don't even have a ton of followers, but I've grown by about 60 in about two months, which for me seems pretty good! I've tried a million different approaches to getting Instagram followers by reading a million different articles about how to get followers, some of which worked and some of which didn't. 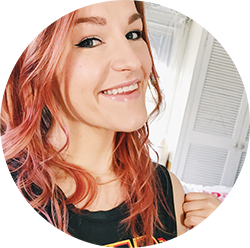 I'm going to share with you what has worked for me, which may or may not work for you! But I find that in the world of Instagram, nothing is certain so if you're trying to build your Instagram like me, anything is worth trying! While it may seem like an obvious thing to do to use a paragraph's worth of hashtags, that actually might be hindering your growth. As with trying to grow your blog, when you're trying to grow your Instagram you need to be thinking about who your target audience is. For me, I generally try to target the geekier market, so I aim for that audience with my hashtags. I typically use #fangirl and #bookstagram whenever appropriate. I also like to gain other bloggers as followers so that we can support each other. I use #blogger, #lblogger (lifestyle blogger), #bblogger (beauty blogger) and sometimes #instablogger. I try to keep my hashtags to seven maximum so that it doesn't look obnoxious under my pictures. Instagram followers are a fickle bunch. Truth be told, I think they are the hardest followers to hold on to. It's so funny because I never think to go through and clean out my Instagram that often as far as who I follow, but apparently a lot of people do. I don't know if it's just bloggers trying to gain followers who follow you in hopes of getting a follow back and then they just unfollow you a couple days later so their ratio looks better, but I find my numbers fluctuating daily. When I first started concentrating on this venture in mid-August, I thought it would be crazy easy to gain a steady following, especially after reading articles with flashy titles like "How To Gain 100 Followers In Two Days". Let me tell you, it isn't that easy. BUT. Even though your goal is to grow your Instagram, it's more important to have a smaller, engaged following that a large following that doesn't engage with you, especially when you're looking to collaborate with brands. G from Nouveau Cheap posted something on her Instagram that I thought was interesting a couple weeks ago about how important it is for followers of bloggers on Instagram to actually like bloggers pictures. She has almost 80,000 followers on her account but said that brands look at her Instagram and the amount of likes she gets on her posts and since she doesn't get a ton, it looks like she bought followers. That's CRAZY! So, in my opinion, I think if you have 600 followers who love to comment and like your posts, that's so much more important than having 10,000 followers, most of whom don't bother with engaging with you. As with anything on the internet, in order for you to get noticed, you're going to have to do a little work yourself. Now, depending about how much time you have and how much work you actually feel like putting into this, you should really browse through the hashtags of your target audience (see tip #1) and like pictures that you actually like, and leave genuine comments. It is so easy to spot comments that people leave on a photo that is just a canned comment to try to bait people into coming over to your profile. I don't find it beneficial to just blow through a hashtag and like every photo in that category. Maybe that's something that works for you, but I just want to be as genuine as possible. Also, if someone follows you, give them a follow back if you are genuinely interested in their content. Not everyone is going to be interesting to you, and that's okay! Like I mentioned before, there are people out there who are only going to follow you to unfollow you in a couple days anyway, so don't feel obligated to follow someone just to return the favor. But if they're into what you're into, it doesn't hurt to follow them and engage with them to get yourself out there. You never know where you're going to find an ally! Look, every single post that you read is going to tell you to have a theme. Every. Single. One. And I won't be any different. I do think it's beneficial to have a theme, whether it be color or content. But don't allow you to make you feel like you're stuck in that theme. If there is something outside of your "obvious theme" that you feel like sharing, share it! For instance, I've mentioned before that music is a pretty big part of my life. I love going to concerts and I love sharing my experiences. When I go to a concert, I pretty much always post a video or a picture from the concert. Does it fit with my flat lay photos on a pink furry rug? Not really, but it's me. And in the end, Instagram should be you! If it doesn't get a crazy amount of likes, who cares? You still have a right to show some of your personality through your account! Don't get scared of going off-theme every once in a while. It might bring in some people who never would've found your account otherwise! If you are talking about a brand, tag them in your posts! Always!! You never, never know what could happen. For instance, I've posted a lot of knitting posts on my Instagram while I was using AC Moore branded products. If you aren't aware, AC Moore is a craft store chain on the east coast with their headquarters not too far from where I live. I tagged them in one of my progress posts, and wouldn't you know they posted my picture on their account! Like, what?! AND they followed my account. Total dream moment for me on that one. I keep holding out hope that we can collaborate on something so I keep tagging them! And I engage with them as often as possible. Sometimes one tiny little crack of a door being open can be the beginning of something wonderful. I talked in my lettering post about how using Instagram challenges (lettering, photography, etc.) can boost your creativity and get you inspired, but it also is a great way to get exposure! While I was doing the Harry Potter lettering challenge, I was featured twice on the hosts account. This gave me exposure to a whole new group of people that I might not have had the chance to reach. I hope that some of those tips are helpful. Like I said, I'm still working on growing my Instagram account, and it is a slooow process. It definitely is something you need to work at and make a priority if you want it to succeed, so don't get discouraged when it doesn't happen over night! Just keep pumping out quality content and follow these tips. Hopefully you'll gain a plentiful, engaged following! Do you have any tips on growing your Instragram account? Share them below so that we can all have millions of followers!